That’s one of the questions I get asked the most when I tell people that I’m a music therapist. I usually list off my instruments and the conversation continues. You’d think I’d get tired of answering this question. Instead, it’s the opposite. I’m always glad when someone asks because it gives me an opportunity to reflect on each instrument I’ve learned, the relationship I’ve had with each instrument, the season in my life during which I was learning, and where it has brought me today. Given the sheer amount of time, financial investment, practicing, and personal growth that is associated with learning instruments, choosing an instrument and sticking with it is a big deal! For me, the musical journey began at age five, when I started taking piano lessons with my sisters. Was it fun all the time? No. Did my parents have to shuttle four kids to their lessons every week? Yes. Did I have to practice over and over? Yes. One of the best things about the piano was that it served as a foundation to the other instruments that I learned. I began the French horn at age 11. While I never had any previous experience with the horn, my dad played the trumpet and instilled within his kids a deep love for brass instruments. I loved how the French horn looked, sounded, and also the fact that you could turn it all around and spit would come out! All in all, music was enjoyable to me, but I did’t become serious about it until I started to think about college and what I would major in. My senior year in high school presented a series of new challenges including auditioning for an honors orchestra, understanding the role of principal horn, and eventually, committing to audition for colleges as a prospective performance major. It was a stressful time in my life, but the feeling of working so hard towards my goals and meeting them gave me the fuel and confidence to continue my music journey in college as a horn performance major. While at college, I immersed myself in learning repertoire, technique, and fundamentals. All of which deepened my skills and forced me to take ownership of my own growth as a musician. My confidence as a performer was lacking, however. I struggled with feelings of inadequacy and fear of failure. 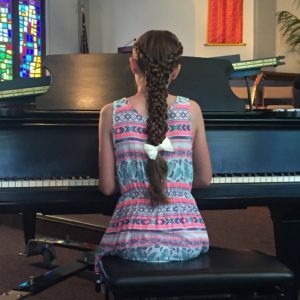 It came to a point where I no longer felt confident as a musician and I wanted to desperately find the joy and confidence I had felt when I first started to fall in love with music as a young piano student. Long story short, I found my way from the field of performance to music therapy, where my love of music was not stolen by a drive for perfection, but was able to be expressed in helping others. Over time, I began to learn guitar and pursued voice lessons. By the end of my college career, the list of instruments had grown, confidence was regained, and my joy for music continues to fuel everything I do. Everyone’s music journey is different, and I’m glad mine turned out exactly as it did. If you want to start your journey, it is never too early or too late! 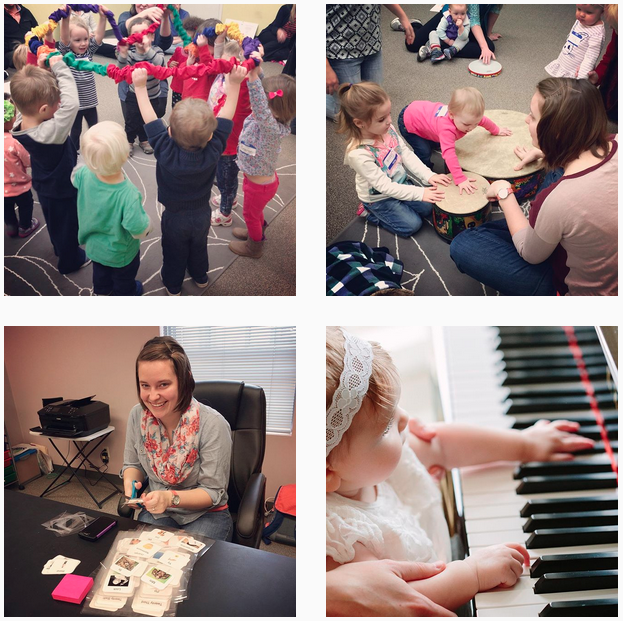 Whether it’s taking early childhood music classes, beginning ukulele, pre-lesson classes or instrument lessons, we’d love to meet you and help you soar. This week, most of my students are finishing their last couple days of school, and let me tell you, they are ready! They’re ready to sleep in, play outside, and pretty much do everything except sit and focus during music lessons. While I totally understand wanting to mentally check out as soon as the weather outside starts getting warmer, I still want my students to stay motivated, no matter the season. In this blog post, I want to share some tips and tricks that have helped my students remain engaged-even when it’s hard. 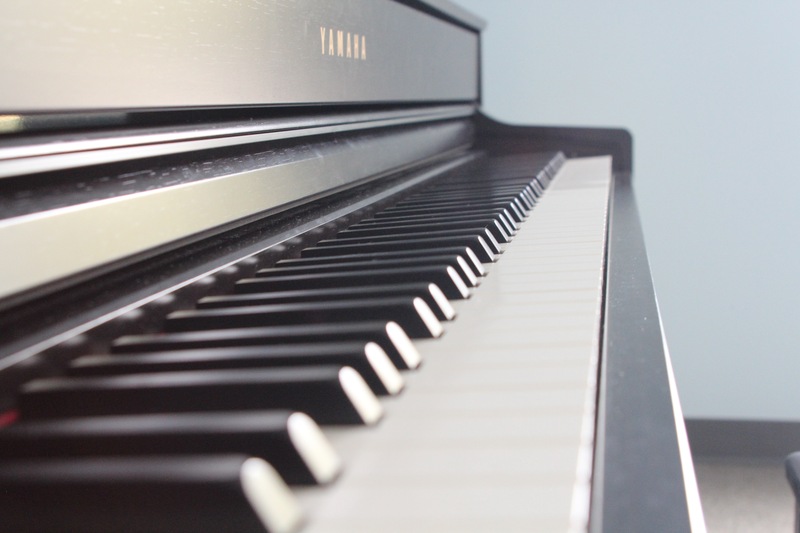 Pretend that the black keys on the piano are “mattresses” the fingers are “sleeping on” to encourage finger placement as well as fluid motor movement. It’s a great way to get students to approach technical skills and practicing in a fun way. The range of my students’ attention span can be anywhere from a full 45 minutes to a measly 2 minutes. To maintain engagement with my students who have a hard time focusing for longer periods of time, I often lay out a schedule that can consist of different lesson activities lasting 3-10 minutes each. I then set goals for the lesson and if the schedule is completed, the student gets to earn a small reward (A lot of my students are huge sticker fans). This is very effective in honoring the students’ creativity but also getting them to take more ownership of their lesson, which hopefully will translate to more enjoyment of music for the long haul! Those are all my tips for now! As I continue to teach, I always have to remind myself that every student is unique and is learning at their own pace. I love that each week I get to learn new ways to help my students grow and achieve their goals. If you or someone you know is interested in music lessons, summer is a great time to ease into lessons and try it out! This past weekend, many of my music therapy colleagues celebrated the milestone of completing all academic coursework, and many are on the way towards starting internship soon. As I reflect back on the different life transitions in my music therapy career, I can’t believe that it’s already been a year since I finished these milestones! A lot has changed since entering the “real world,” yet, I still see how some things I learned in internship continue to be relevant in my day to day as a working professional. For me, internship was a season of self care, capacity stretching, and professional growth. These things have all stuck with me, and continue to be relevant in my work at Music Therapy Connections. Self Care – With new assignments and experiences each week, internship is very fast paced. It’s so easy to be overwhelmed at all the new responsibilities, but through regularly journaling about my day, my reactions, and the struggles that I encountered, I began to see how important it was to be in tune with my inner thoughts and actively seek opportunities to cope with stressful situations in a healthy way. For me, self care looks like setting time aside in my schedule or in my commute to mentally and emotionally transition from home life to work life. I also like to do things that remind me that my identity and purpose isn’t defined solely through music therapy, such as spend time to deepen my relationship with my family and friends, as well as exercise. Capacity Stretching – As a student, you are usually doing music therapy once a week, and preparing and doing documentation for that one session for a couple of days. In internship, you are typically leading multiple sessions a day for five days a week, and decreasing prep and documentation time significantly. While growth in capacity doesn’t happen overnight, it is something that is essential in the transition from internship to working life. Not only is it about growing capacity, but it’s also about becoming more comfortable with increasing efficiency with planning time. This is definitely something that I am still growing in, especially since I know things will only get busier! 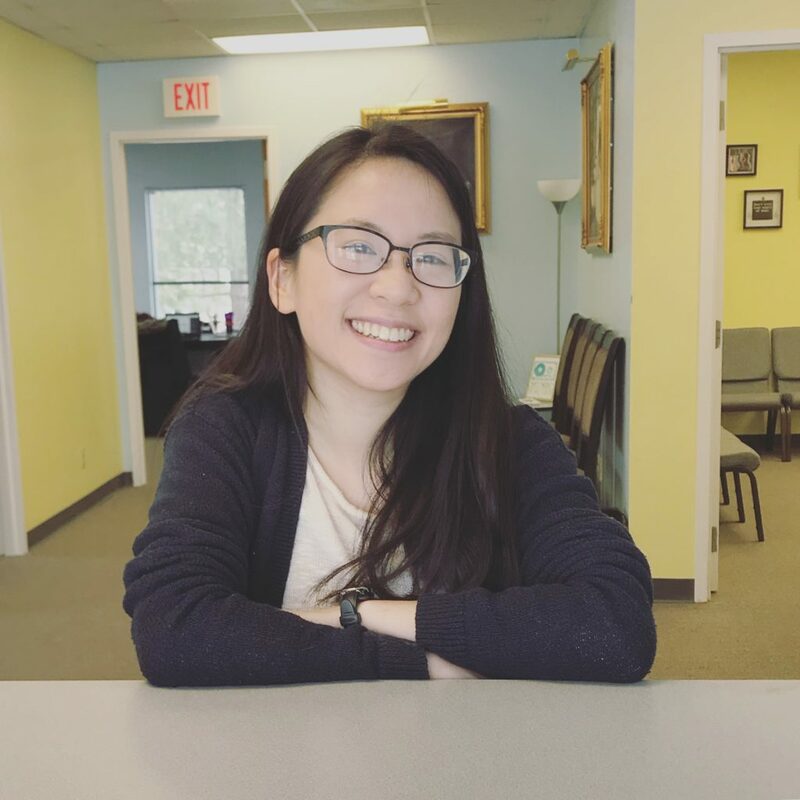 Professional Growth – I love how internship not only prepares you to do music therapy, but to also interact and work with other professionals and other individuals who support your clients. Establishing effective work and professional habits and communicating with others is definitely a skill that I use every day to talk with parents, support workers, future contracts, and to the public. That being said, there are some things from internship that I’ve since learned were specific to my internship season. Constant accountability – Every week in my internship, I had time devoted to meeting with my supervisors to discuss any issues and to help me stay on track. Now that I am working, it is important that I take ownership of my work and take steps to develop areas in need even when I don’t have a supervisor to keep me accountable. That’s all my post-internship thoughts for now. Shout out to all the new interns, current interns, and post-interns who are all walking this music therapy journey with me! If you have any internship stories, I’d love to hear them in the comments below! 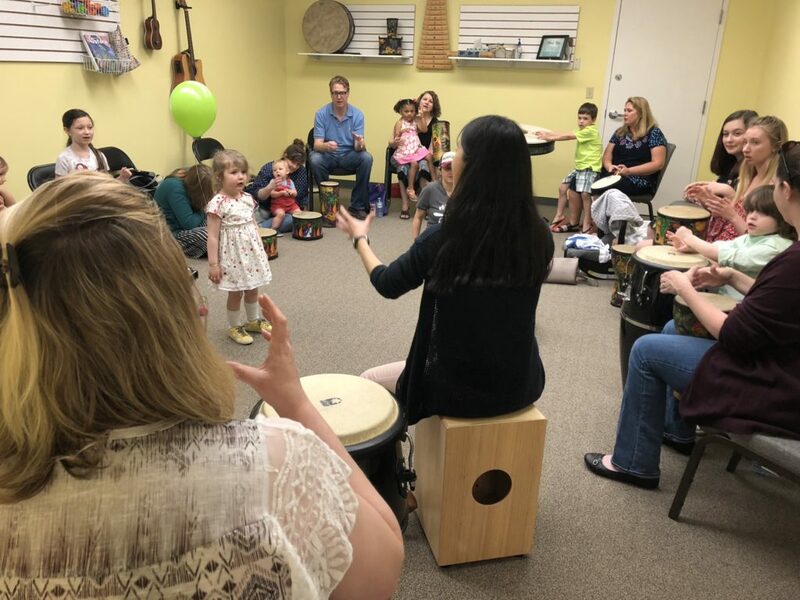 This past Sunday, Music Therapy Connections hosted an open house, and it was a blast! We invited the Springfield community to step through our doors, meet our music therapists and teachers, and spend time making music together. Seeing new faces and familiar faces connect with each other and explore our facility was such a thrill, especially with everyone being from all different walks of life. One of my favorite moments during the open house was when we invited everyone into our big room for some group drumming. 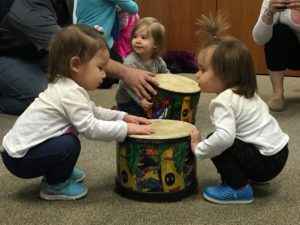 From little infants to teens, parents of young children to older adults, we shared the time exploring our creativity, playing together, and best of all, enjoying music. I would love to share with you how we structured our drum circle to incorporate a wide range of ages, needs, and comfortability level. For our little ones, we used low floor drums and encouraged caregivers to sit on the floor so they would have a greater range of movement to support, hold, model, and do hand-over-hand movements with their young children. For young children who didn’t need the motor guidance of a caregiver, we encouraged participation and empowered their independence by giving them choices (i.e., Big drum or small drum? Floor drum or hand drum? Mallets or no mallets?). For our children, teens, and adults, we encouraged creativity by asking for options of how to play (i.e., Asking participants to come up with hand motions, asking participants whether they want to play fast or slow, etc.). This might be the first time a lot of participants have ever played an instrument, let alone a drum! Encouraging choices for all participants is big. You should structure songs to include a variety of different styles, motions, volumes. Once everyone has a better idea of different options, structure the song to include parts where people can explore their creative side without feeling insecure or exposed. How can you do this? Have half the group tap a basic beat while the other half freely improvises and then have the two sides switch. 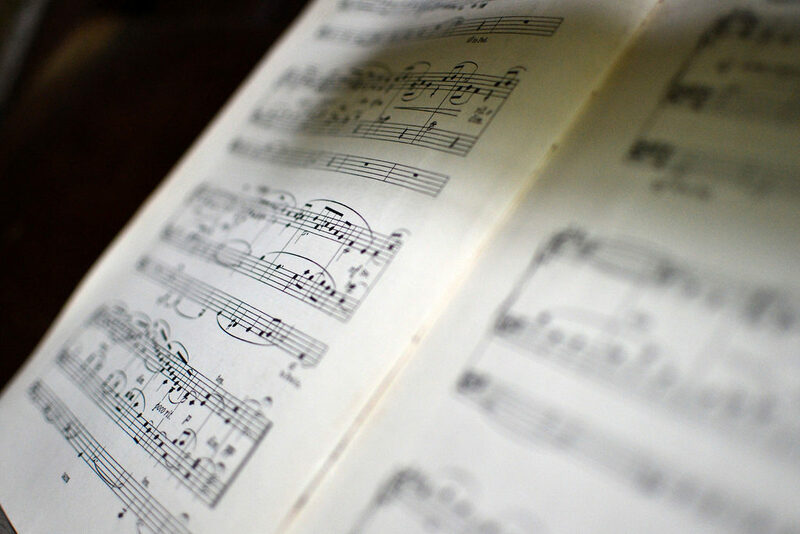 Include songs that are have chants, sequenced portions, or repetition so that participants have a predictable structure to follow. Once everyone is comfortable with the familiar section, gradually add new components. I like to have a cycle of familiar/predictable sections, new sections, and then a return to familiar/predictable sections. Don’t forget to validate! A simple “I hear you!” or “Wow, I like your energy!” can go a long way in encouraging new players throughout. Drumming can be loud. Model as much as you can! Sometimes over explaining can overcomplicate things, and a lot of times, people can’t hear you over their own drumming. Try minimizing verbal explanation and instead, replace it with concise and direct language, or eliminate verbal directions all together and use your drum, exaggerated facial expressions, and exaggerated body language to motivate everyone to have greater focus and jump right in. I hope you found these drum circle considerations helpful! If you’d like to share some drumming ideas with us, or ways you’ve adapted drumming experiences for individuals of all ages, we’d love to hear from you in the comments below! And if you’d like to learn more ideas about how to incorporate drumming into your sessions, check out Kalani Music. For songs and chants that can be adapted for all ages, check out Ella Jenkins! These have been great resources and inspirations to me as I keep growing as a music therapist. Best of luck in your journey! Practice Habits: What’s the Point? With our spring recital right around the corner on May 12th, this is a great time to address practice habits. Are they necessary? What’s the point? How long does my child really need to practice? Does my child need to practice every single day? My kids are too busy to practice. I’m too busy to sit down with my child. I keep forgetting to remind my child to practice. My child only has to study for a test the night before, so why can’t he just practice the day before/day of lessons? Practice time is determined by the age and skill level of the individual child. We never want to force a child to practice and we want the practice time to be enjoyable. For a young child, say 5 years old, a practice session may only last five minutes per day. Pre-primer piano books are child friendly with short exercises. Many books have CDs or digital recordings for home practice, which can be a great motivator if used with each lesson. 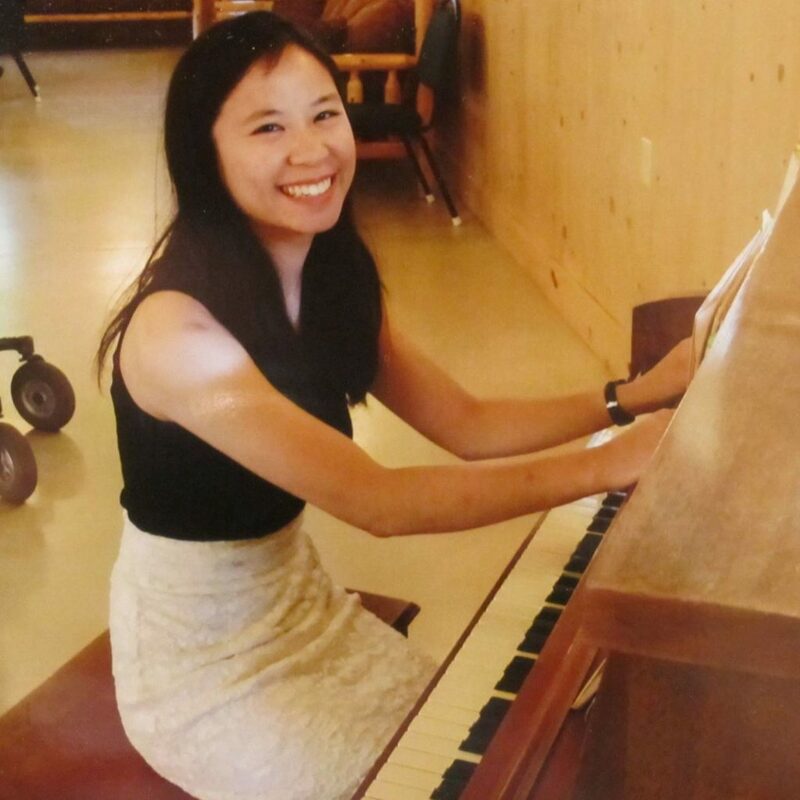 I also like to encourage free time at the piano, which can include improvising, singing, playing a song by ear, learning a song by ear, and composing. 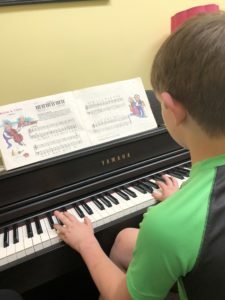 The older child might practice for ten to twenty minutes per day as primer and level 1 piano instruction books tend to have longer exercises that require more repetition. This is the age we also see a fair deal of voice, ukulele, and guitar students. For voice, we simply encourage the child to sing! For ukulele and guitar, the instruction books are similar to the piano books in terms of exercise length. I love finding a child’s favorite song to learn during lesson time! As a child advances to higher levels and skill sets, practice times will need to be longer. Repetition is the key to learning, in music and in the education setting. Practice times are usually a minimum of 30-minutes per day. Any assignments that are sent home will already be understood by the child. Yes and no. This is a tricky question. It all depends on the individual. I like to encourage my young students to practice 4-5 times per week. 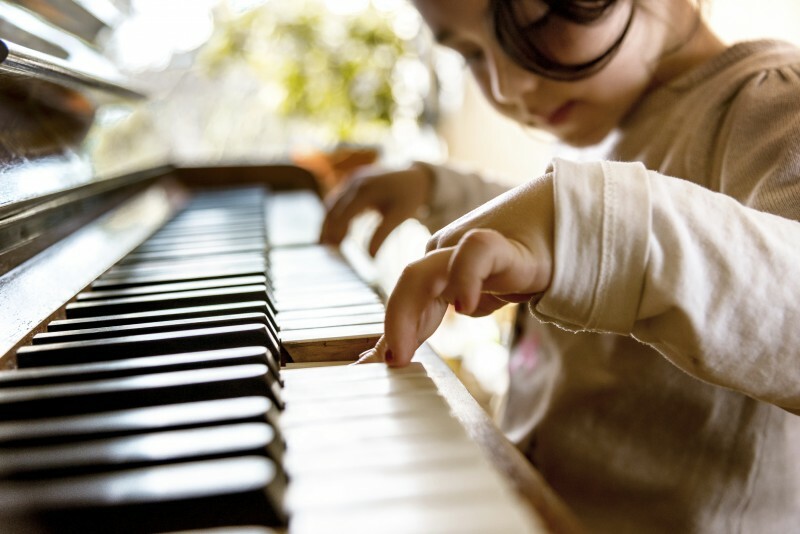 Learning music involves muscle memory. It takes time to coordinate the eyes and hands with what’s on the page. My older, advanced students are encouraged to practice every day. Is there any point in the day when your child is playing video games on the television, computer, or tablet? Are you constantly trying to get your child away from electronics? Build the practice time into your schedule. Are you running your child to various activities throughout the week? Pencil in that short amount of time on days when the schedule isn’t as full and keep it scheduled for the same times every week. Any assignments that are sent home should already be understood by the child. I personally do not send home assignments that might be frustrating. I like to create a slight challenge when applicable but never too far fetched. This is especially true for my more advanced students. I tend to make notes on assignment sheets for single hand practice or specific measures when an exercise or piece is difficult. The last thing I want to do is make practicing a negative experience. Learning an instrument takes time. We learn math skills slowly, first by counting, then recognizing the numbers, later learning addition, subtraction, multiplication, division, and on and on and on. Music is the same. It takes years and years to master an instrument. The only difference between educational classes and music lessons is the time spent learning the material. Children are in school for at least 6.5 hours. That’s approximately 6.5 of educational learning, five days a week. Thank goodness for summer break! A piano lesson is typically 30-minutes once a week. That means most learning must be done outside of the scheduled lesson time. Practice is an essential part of the process, and we are always willing to provide advice for how to help make that happen in your home.